Kelvin and Julia welcome you to Pegasus Gateway Motels. Away from the city, but in touch with so much. Our spacious apartment-style units will make you feel so comfortable you will want to stay longer. Our family has lived on and worked this land for over 50 years and are proud to offer you this affordable luxury Rangiora accommodation. 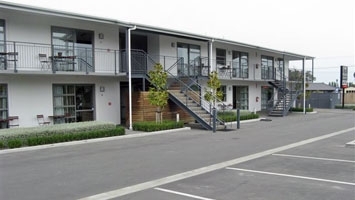 We are a straight drive on SH1, just 20 minutes from Christchurch International Airport. 5 minutes from the town of Kaiapoi. 3 minutes Pegasus Golf course.